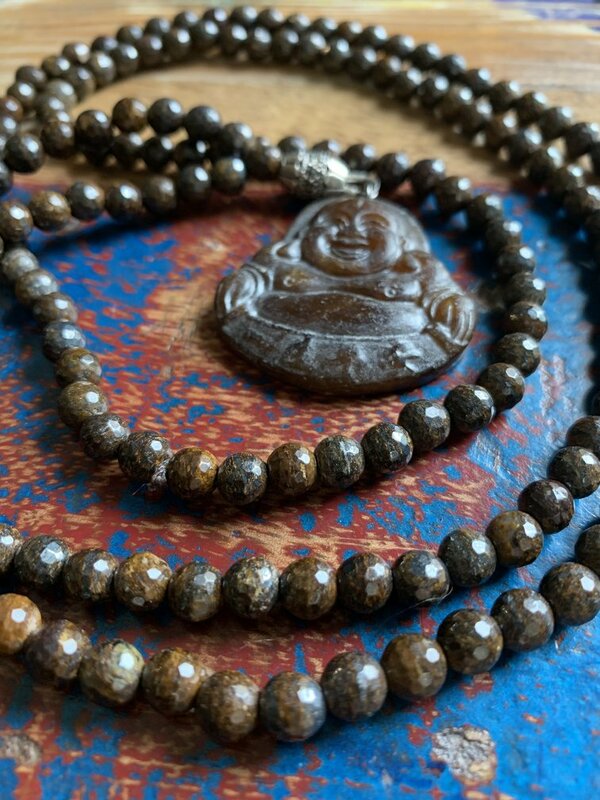 Brown Jasper is excellent for activating the Base or Root Chakra, located at the base of the spine. The Base Chakra controls the energy for kinesthetic feeling and movement and is the foundation of physical and spiritual energy for the body. When physically out of balance, symptoms manifest themselves as lethargy, low levels of activity, low enthusiasm, and a need for constant stimulation. When spiritual energies are out of balance, one may feel flighty, disconnected from reality or distant. By balancing the Base Chakra, the physical body regains its strength and stamina, and the spiritual energy is rekindled in the form of security and sense of one’s own power. It often leads to independence and spontaneous leadership. All materials that were used from reputable sources and taking great care to cleanse and treat gemstones with the most love and respect while was making the mala. 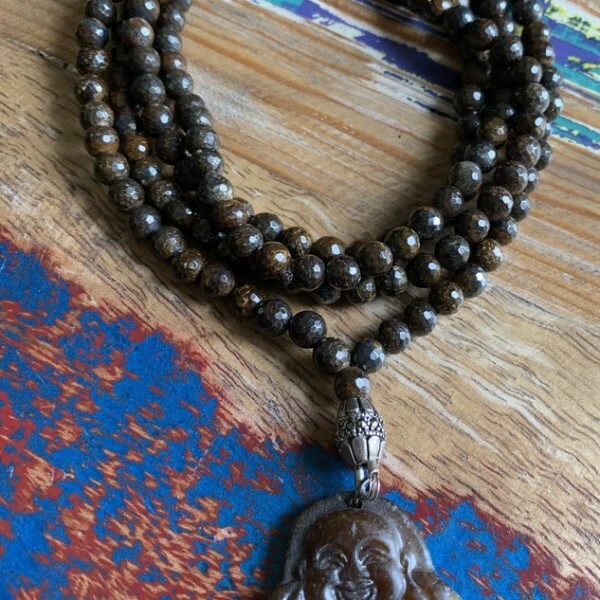 Wear, carry or meditate with your mala,to keep one “down to earth” and to alleviate stress and induce tranquility. 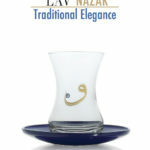 Made with natural stones so exact sizes, shapes and colours may vary. All photos were of my jewellery in natural light to show their true colours as much as possible. 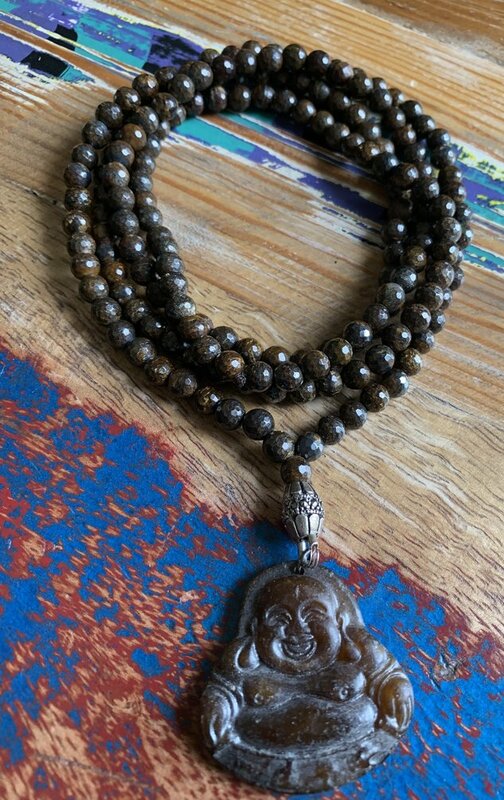 The necklace is 21” from the top to the end of the Buddha pendant. SKU: KOL46. Category: Gift Set, Gifts For Her, Gifts For Him, Gifts Unisex, Jewellery, Necklace.